Police in Sacramento, Calif., shot and killed an unarmed black man in his own backyard Sunday night after mistaking his cellphone for a weapon. 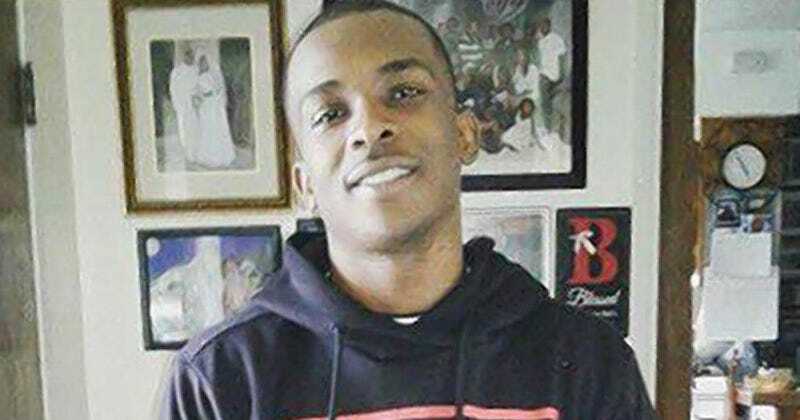 In their initial press release regarding the incident, police said that officers were responding to a report of someone breaking car windows near the home where a man, later identified as Stephon Clark, lived with his grandparents and siblings. A thin, 6-foot-1 black man was said to be hiding in a residential backyard. A Sacramento Sheriff’s Department helicopter was providing sky support and reported seeing Clark in a backyard. Those authorities told officers that they saw Clark pick up a “toolbar” and use it to break a window in the residence. Clark then allegedly ran toward the front of the house and began looking into another car. I linked both police press releases so that you can view them for yourselves and make your own judgment. Both seem to be confused, jumbled word salads that don’t really give us any details as to just why this young man was shot and killed by police.